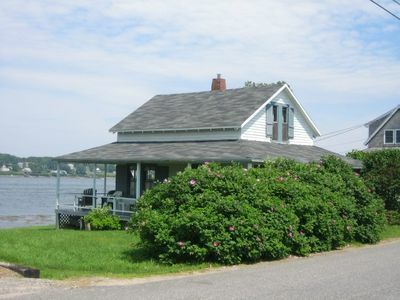 Recently remodeled two bedroom cottage located on Beautiful Harpswell Sound! 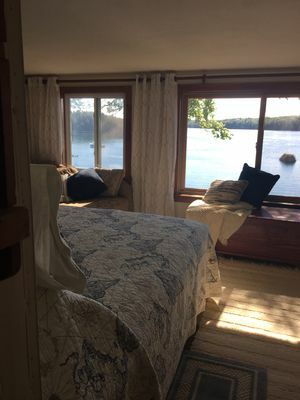 Sea Birch Cottage is set on an open beach in South Harpswell, off a private road. 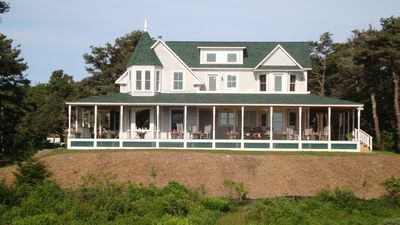 It has sweeping views across the Merriconeag Sound to Orr's and Bailey Islands. 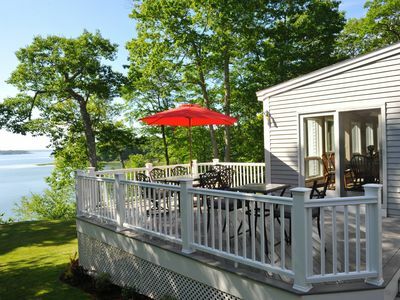 This contemporary escape offers the best of Harpswell and all the right touches to make your vacation remarkable. 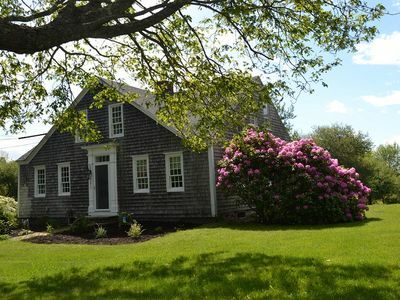 Its location is unique, set on Intervale Point and serving as a landmark for navigators. 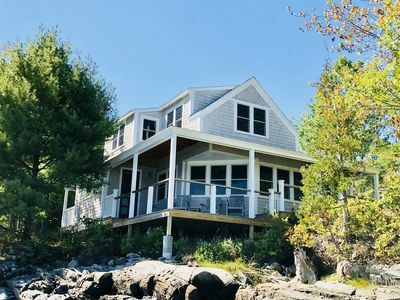 The cottage has a large, open lawn stretching to a rocky beach – with Casco Bay just a 100 yards to the east, and views to Cook’s Lobster House across the Sound. The water is clear,and easy to access for kayaking or a swim, even at low tide. 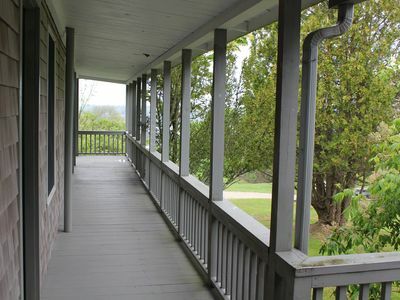 A large outdoor seating and dining area lets you enjoy the views, and the stillness of the area. 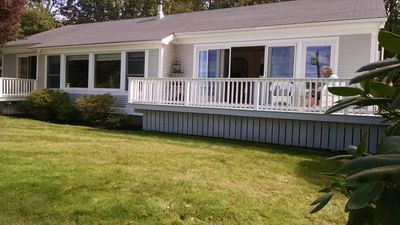 There is an outdoor dining table, fire pit, barbecue, and patio with seating for six. 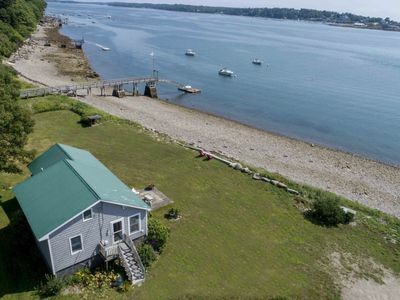 Stover's Point Beach is less than a mile up the coast. For post-beach relaxation, enjoy the outdoor shower built for two. East facing, sunrises are spectacular and worth waking up for! Enjoy the show from your cozy sofa or the beachfront. 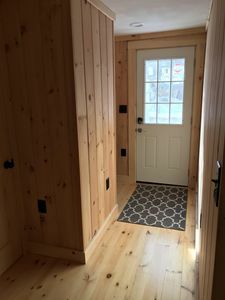 Inside, Sea Birch has been completed renovated. 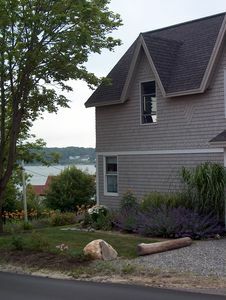 Large picture windows offer views of the Sound, as sailing ships, lobster boats and ferries cruise by, and seabirds fly the waters, too. 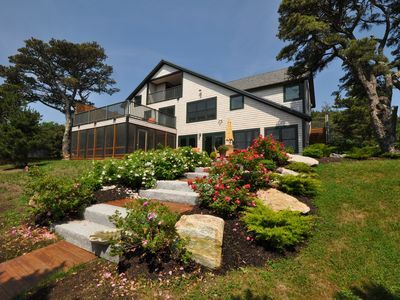 Screens in the windows let the smell of salt air in, and custom blinds offer privacy. A large cathedral-ceiling living room is decorated with contemporary and classic touches, and offers comfortable seating, wifi, and good lighting. 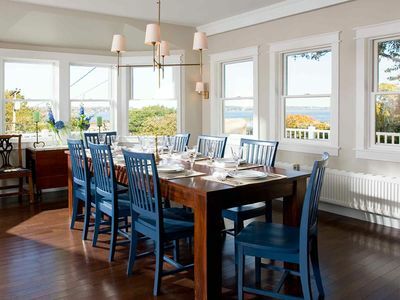 The open dining room has a big wooden table and more views over the Sound. And, the coffee bar with Keurig 2.0 brewer and electric teakettle will make mornings a bit brighter. 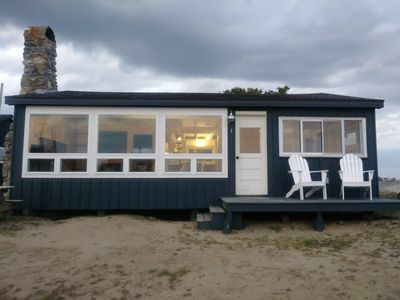 The kitchen features everything you will need, including microwave, gas stove, lobster gear, and lots of chef’s gadgets. The two bedrooms both have queen beds, new mattresses, designer bedding, windows, closets, ceiling fans and flat screen TVs, with an Apple TV to enjoy your own Hulu or Netflix accounts (owners will allow you to use their nexflix). 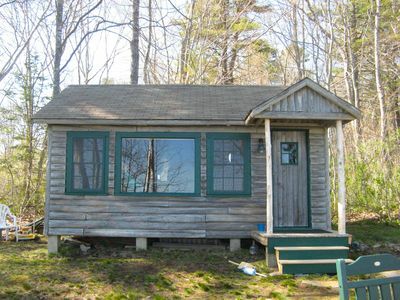 The cottage also offers a sleeping loft, with two twin beds. 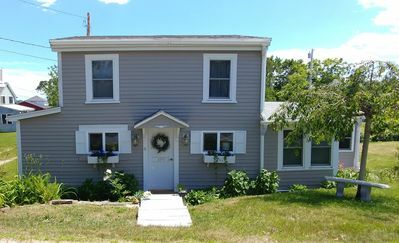 Beyond the property, this is a great location, with Estes Lobster House right down the road. 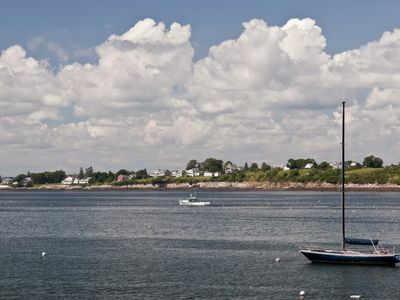 South Harpswell features some of the best hikes with views offered by the Harpswell Heritage Land Trust. The Dolphin Marina and Erica’s Seafood are just a short drive away. The Ship 2 Shore Market is right up the road with provisions for picnics, including deli sandwiches and a large wine selection. Mitchell’s Field Park, with a open play area and public beach is close by. Pott’s Point is a great spot for tidal pool exploration. 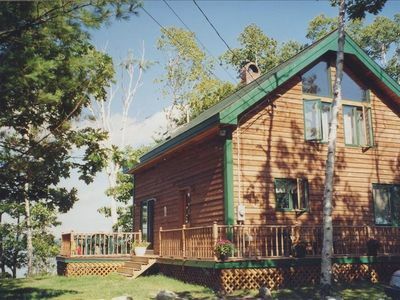 Wolfe's Neck Cabin: Perfect Old Style Log Cabin On The Shore Of South Freeport. 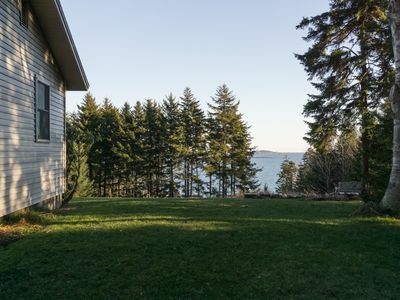 Spectacular Sunsets and a short stroll to the beach from this Sunset Cove Home. 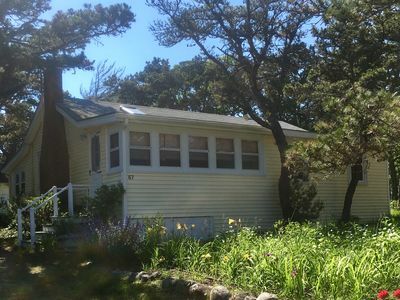 3 bedroom, 2 bathroom, washer & dryer, perfect kayak spot!